Here’s a quick post to show you what I’m working on currently. Just a little effort combined with the correct products and tools can go a long way in fountain pen restoration. 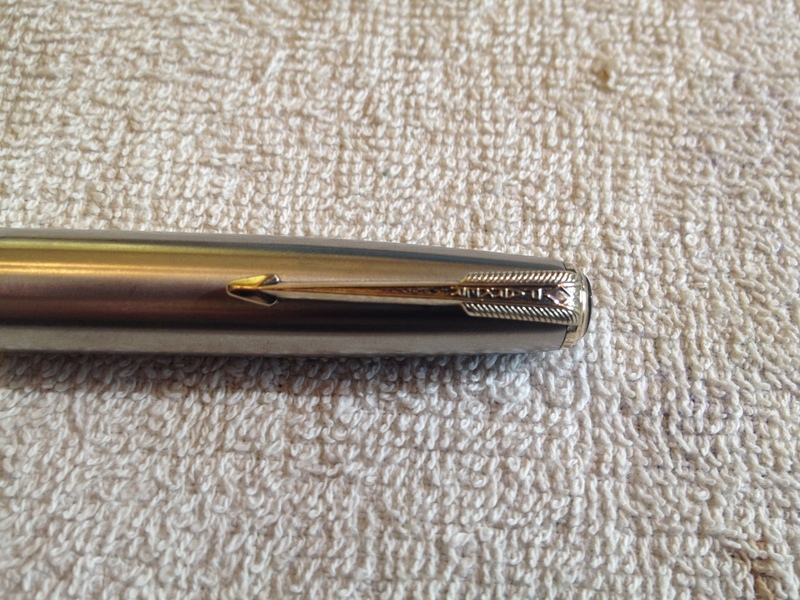 Shown below is the cap from a Parker 51 Vacumatic showing how it arrived to me for restoration. As you can see, it’s a Lustraloy cap with a gold split arrow, blue diamond clip. I’ll restore the blue diamond later in the restoration. Here’s what I wanted to show you today. 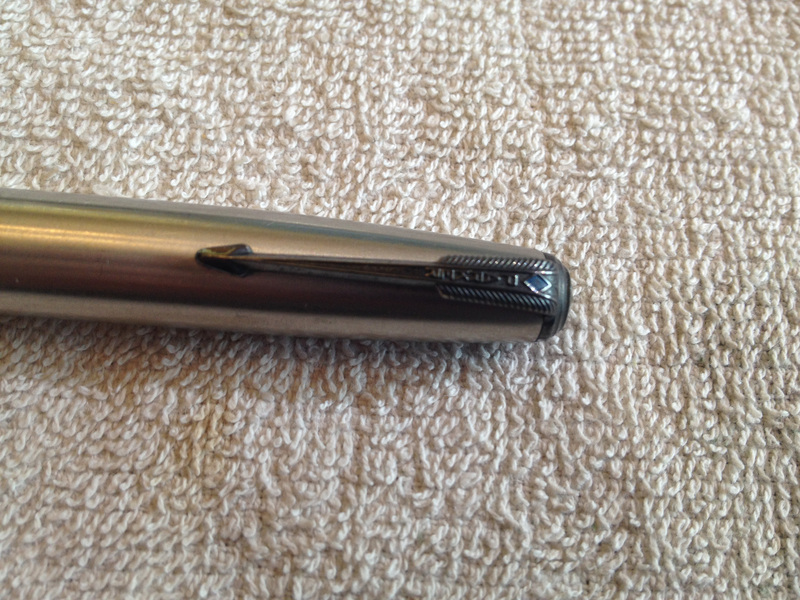 The magic of Parker 51 Vacumatic cap restoration. This took me about 15 minutes using a little dab of Simichrome Polish, a few Q-Tips, a micro fiber cloth, and a rouge cloth. Beautiful! The gold split arrow blue diamond clip looks as good as new. I did one like this last week that was probably 10 times worse and I forgot to take the “before” pictures. Dang! This entry was posted in Materials & Supplies, Restoration & Service and tagged parker 51 cap, parker 51 cap polish, parker 51 cap restoration, parker 51 cap service, parker 51 vacumatic cap, parker 51 vacumatic cap polish, parker 51 vacumatic cap restoration, parker 51 vacumatic cap service, parker vacumatic cap polish, parker vacumatic cap restoration, parker vacumatic cap service, simichrome, simichrome polish, split arrow blue diamond clip, vacumatic cap polish, vacumatic cap restoration, vacumatic cap service.